The Keto Beginning Review - Take A Look Inside The Keto Beginning! Are you ready to discover your bodies Happy Place? A place where you are the perfect weight and have no cellulite. A place where you can achieve normalized hormone levels, perfect blood pressure, balanced cholesterol and blood sugar! If so, then I invite you to continue reading The Keto Beginning Review I have put together for you. 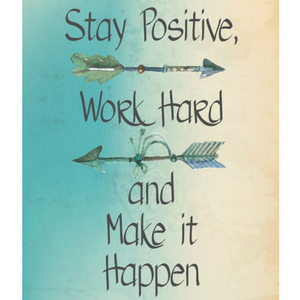 Together we will find out if this is the right approach for you! 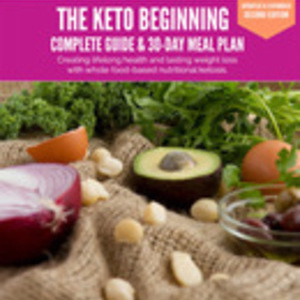 The Keto Beginning is a complete Beginners Guide and 30 Day Meal Plan. 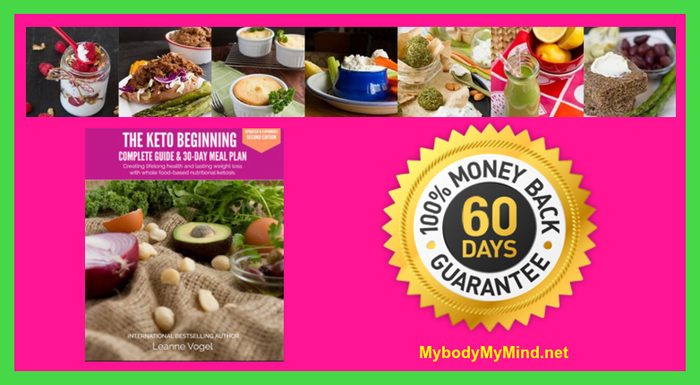 It is packed full of strategies and vibrant high-fat, low-carbohydrate, moderate protein recipes. All designed to effortlessly bring you into a state of Nutritional Ketosis. 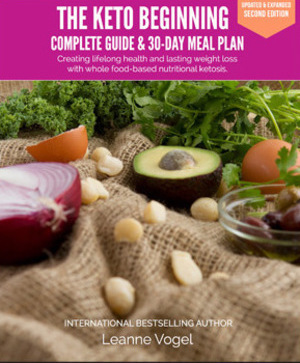 The creator, Leanne Vogel, has combined her resources, meal plans and recipes to bring you The Keto Beginning. This program is meant to be a blue print for you to follow. Her goal is to help you attain total body confidence, regulated metabolism, and liberated health. With the Keto Beginning, Leanne shows you how to use whole-food based, Nutritional Ketosis to achieve an number of things. Including your perfect weight, the power to end food obsession, maintain steady energy and boost your Self Love! Once you achieve Nutritional Ketosis your body becomes a fat-burning machine! Your body will begin to effectively break down fatty acids into Ketones. These Ketones are one of the two sources of energy your body uses as fuel. They are even used by your brain as fuel! Studies have shown that Nutritional Ketosis has the potential to alleviate food cravings, blood sugar irregularities, mind fog, excess body weight, and so much more! The Keto Beginning PDF: What You Get! When you download the Keto Beginning PDF you will receive a blue print to a new lifestyle and renewed health. This blue print is made up of 4 separate parts. When combined they will guide you to a new state of Nutritional Ketosis! BEGINNER’S GUIDE: This is your 17 chapter guidance system. You will learn everything you need to know to get into, and maintain, a state of Nutritional Ketosis! 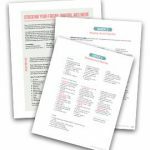 WEEKLY SHOPPING LISTS: Here you will find the whole food ingredients you will need to follow the weekly meal plans. Conveniently organized in one place. 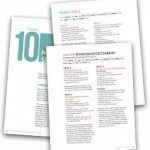 Recipes: Here you will find a collection of low-carbohydrate, high-fat, moderate protein recipes. 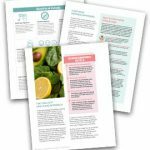 These recipes will encourage your body to effortlessly switch into a natural state of Nutritional Ketosis. 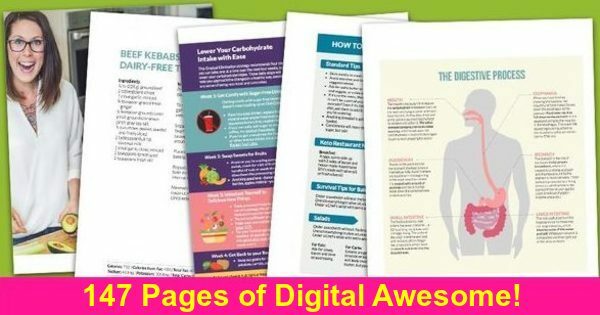 As an added Bonus with your purchase of the Keto Beginning PDF. You will also be invited to join the Exclusive Keto Beginning Facebook Group. Receive direct support, resources, and inspiration from Leanne and over 2,200 members in their growing community. This is the point of The Keto Beginning Review that I would now like to take you through some of the Pro’s and Con’s. Now I could spend all day telling you about the health benefits you stand to gain. However, that is not what I am going to do. You can see all of that by visiting the Keto Beginning Home Page. Instead I am going to take a slightly different approach, so here we go! If what you’re doing isn’t working… Dare to do something different. First is that the Keto Beginning is practical. Ketones are a highly renewable energy source produced by your body. Your major organs use the Ketones to easily promote lasting health. Also Ketones are a fuel that won’t run out. With effortless food preparation, The Keto Beginning is a powerful tool that will inspire you for a lifelong change. Secondly, Nutritional Ketosis is a powerful, convenient, and motivating take on dramatically changing your health for the better. All you have to do is open your eyes to a new way of thinking and take control of your health. Third, the Keto Beginning is liberating! When you focus on eating food that makes you feel good. You gain an energy in your life that is liberating and keeps you motivated to continue. It’s the kind of energy that propels you forward and leads to results. Lastly, you get a brand new approach to the health and weight loss you desire. Your journey begins with accepting that the same old ways may not be working for you anymore. Experimenting with new things sets you on a new path, where you’re primed to achieve the life you desire!. Okay, so at first it can be kind of hard. You do have to cut out things like bread, pasta, and desserts. Basically you are ditching sugar and the things the body easily turns into Glucose. Also the first few days you may feel off and a bit hazy. However once your body has burned of the sugars and begins to run on fat. You will actually realize a new clarity like never before. With this and any new diet you should consult with your health care provider before beginning. The Keto diet is not for everyone, and it can be problematic for certain health conditions. 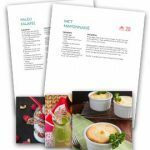 Download The Keto Beginner Meal Plan PDF Today! So the Keto diet is nothing new, top athletes around the world have been using it for decades. It may seem like the new thing because of it’s rise in popularity and increase in recent studies. It is a proven way of life that promotes weight loss and renewed health. However you must be willing to open your mind and change your habits! Let’s face it. If you are still here and reading this review. Then NOW Is Your Time! If what you have been doing is not or has not worked, it is time for a change. Don’t put it off any longer. If you have been struggling with anything you have read here, Take Action now to change your life. Order your copy of the Keto Beginning and discover the you that you have been searching for! Get Started Today! If you have any questions about the The Keto Beginning Review please leave them in the comment box below for fastest response. If you would like you can contact me by email by clicking here. I will get back to you as soon as I am able. Thanks again for visiting I hope you found The Keto Beginning Review to be helpful! Next Post Next post: African Red Tea Detox – Secret Ancient Recipe Revealed! I have not heard about the Keto diet till just now. This was a very interesting read and I loved how well you explained the diet in your content. What other diets would you personally recommend for just eating healthier in general and wanting to lose a bit of fat? Thanks in advance. The Keto Beginning is a great way to get into the Keto lifestyle. People get into Keto for many reasons, some to lose weight and some as a way of life. That said it is certainly not for everyone. Ryan if you are just looking for a general healthy eating plan that can help manage your weight. I recommend that you check out the Metabolic Cooking Cookbook. It is a great resource that will have you eating great tasting food that is designed to keep your metabolism fired up. Brendon and myself have both been using the incredible recipes found in this cookbook for many years now. Click the link above and check out Brendon’s review, the cookbook only cost about $10 and it contains over 200 fat scorching healthy recipes to trey out! Ryan, hope that helps, Have a Great Day!